Langila volcano is one of the most active volcanoes in the Bismarck Arc of New Britain. It is located 11 km south of Cape Gloucester. The volcano consists of a group of 4 small overlapping basaltic-andesitic cones on the lower eastern flank of extinct Talawe volcano, which still forms the highest volcano in the Cape Gloucester area of NW New Britain. Langila's typical activity is strombolian to vulcanian explosions, sometimes accompanied by lava flows. Summit explosions at Langila volcano often produce shock waves. 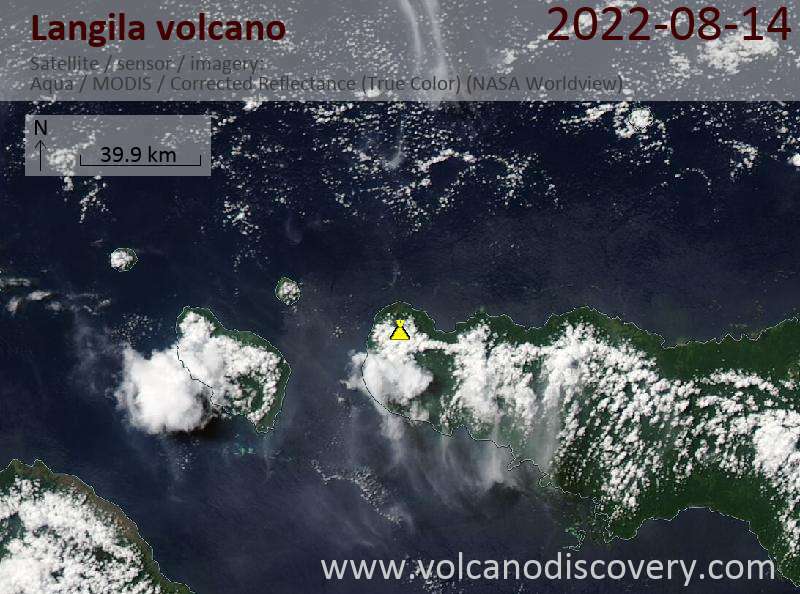 Langila volcano, whose activity record goes back to the 19th century only, is one of the most active volcanoes of New Britain, Papua New Guinea. Langila's frequent activity consists typically of mild-to-moderate explosive eruptions, that are sometimes accompanied by lava flows. The volcano consists of four small overlapping cones on the lower eastern flank of the extinct Talawe volcano,- the highest volcano in NW New Britain. The rectangular, 2.5-km-long crater of Talawe has a large gap to the SE; the younger Langila volcano formed NE of Talawe's breached crater. Extensive lava flows have reached the sea from the N and NE flanks of the volcano. Since observations have begun, 3 summit craters have been active. The youngest and smallest of these, with a diameter of 150 m, was formed in 1960. 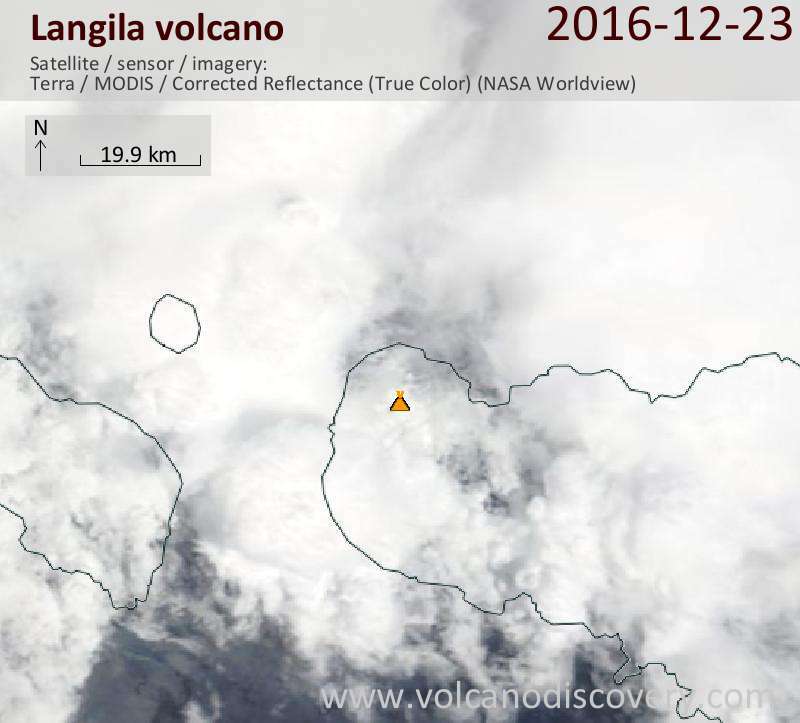 Langila volcano Volcanic Ash Advisory: VA OBS TO FL080 EXT 25NM TO SE AT 23/2200Z. ON HIMAWARI-8 IMAGERY AND JMA\US GFS MODEL GUIDANCE. 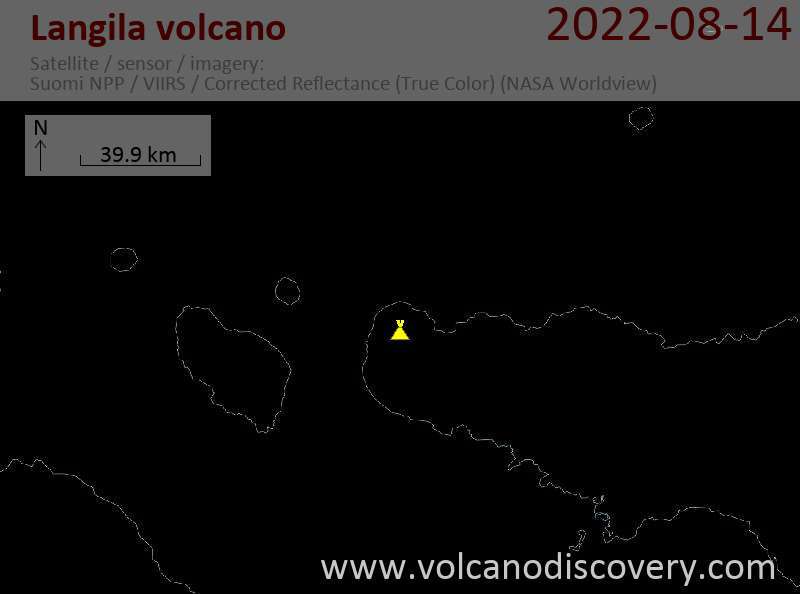 Langila volcano Volcanic Ash Advisory: MINOR VA EMISSIONS TO FL080. Top 20 quakes in 2016: Several magnitude 7 quakes occurred in 2016 (but none above M8): Papua New Guinea, NZ, Ecuador, Solomon Islands, Sumatra, Chile, Alaska and others - nearly all major earthquakes were located near active subduction zones. See the top 20 list of largest quakes in 2016 with this map.